A drink-driver was caught after a member of the public tipped-off police over concerns that the motorist was under the influence of alcohol. 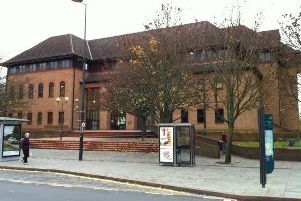 Chesterfield magistrates’ court heard on Wednesday, June 29, how Philip Charles Arthur Turton, 51, had appeared to be drunk when he was spotted in Sainsbury’s at Ripley. Prosecuting solicitor Becky Allsop said: “It was about 9pm, on June 14, when a police officer was approached by a member of the public saying that the driver of a Vauxhall vehicle had gone into Sainsbury’s and appeared drunk. The police officer became concerned over the slow speed of the Vauxhall Insignia and the manner of the driving as it came close to the nearside pavement on numerous occasions, according to Mrs Allsop. She added that Turton was stopped by police and he spoke with slurred speech and recorded a positive roadside drink-drive test. The defendant pleaded guilty to exceeding the alcohol drink-drive limit after tests registered his drinking as just over twice the drink-drive limit. He explained that as a hotel manager not being able to drive is likely to create problems commuting to work but his main concern is that he is the sole driver for his severely autistic son. Magistrates disqualified Turton for 12 months but his ban could be reduced if he completes a drink-driver rehabilitation course. Turton, of Cottesmore Road, in Rutland, Leicestershire, was also ordered to pay £703 in a fine, costs and a victim surcharge.